TOMS RIVER, NJ-A police report issued by the Toms River Police Department said two men from out of state caught with 2,000 doses of heroin were charged and set free after being arrested last week. 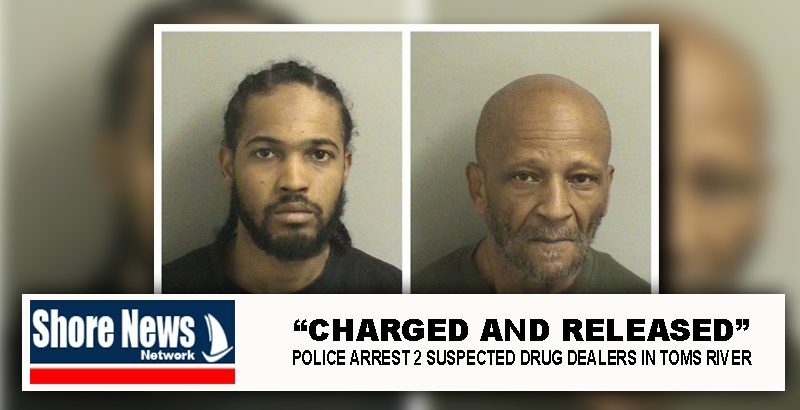 On Saturday, March 2, 2019, as a result of a suspicious vehicle investigation during a surveillance operation, the Toms River Police Department Special Enforcement Team seized approximately 2 grams of marijuana, $580.00 in U.S. currency and a plastic bag containing more than 20 grams of raw heroin. Once broken down and cut that heroin had the potential to be 45 bricks, or over 2000 doses, with an approximate street value of $10,000.00. Officers arrested and charged the passenger of the vehicle, Covan Taylor Jr., 27, of Huttig, Arkansas with possession of heroin, possession of marijuana under 50 grams and possession of heroin over one half ounce with the intent to distribute (Second Degree). Mr. Taylor was initially held at the Ocean County Jail but has since been released by the court pending a future court date. Officers also arrested the driver of the vehicle, John Woodall, 68, of Sardis Mississippi with possession of marijuana and released him on a summons.